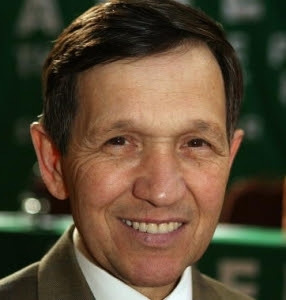 This week our campaign has been inspired by Rep. Dennis Kucinich filing 35 articles of impeachment against George W. Bush. Speaker of the House, Nancy Pelosi, has re-affirmed that impeachment is off the table. Let’s send her a few faxes telling her that defending the Constitution of the United States is her duty, not her prerogative. Tell her to do her job and get both of these criminals out of the Oval Office. Please take two minutes to send her a free fax telling her to begin impeachment proceedings against both Bush and Cheney. You can use the sample letter provided below or write your own. As always a polite, respectful tone is preferable and you can send a free fax over the internet by going to www.faxzero.com.